Get your business noticed in the Prestwich & Whitefield area by advertising in our monthly magazine. Delivered FREE to over 23,000 houses in Prestwich, Whitefield, Unsworth and Sunny Bank each and every month, your business can benefit from a greater exposure to potential clients and customers than can be achieved by more traditional methods such as local newspapers. We are also the ONLY magazine to go out EVERY month of the year to houses in our coverage area, so advertising in Prestwich & Whitefield Local can give your business the boost it deserves. Now delivered to homes in Unsworth and Sunny Bank too! 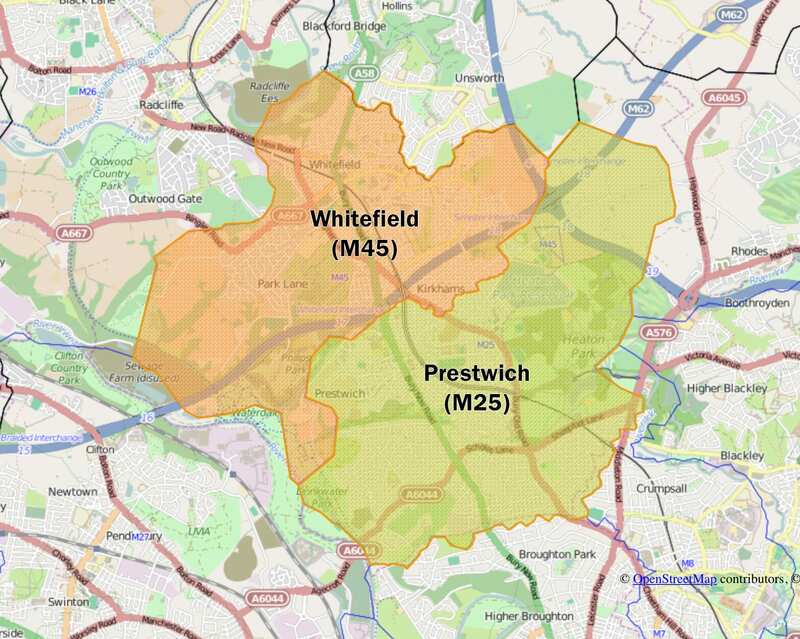 Prestwich & Whitefield Local gets delivered to over 25,000 houses in Prestwich, Whitefield, Unsworth and Sunny Bank around the first week each month by Manchester based distribution company LDM. Featuring 52 glossy colour pages packed with local features, articles, reviews and the occasional competition, not to mention all the adverts from local businesses, there’s always something of interest in each issue. Some advertisers also use the magazine for promotions so there’s also money to be saved by checking out the issue when it lands on your doormat. Give your business the local boost it deserves! All full page adverts using the sizes above will have a white border round the edge of the page. For full page adverts with no border, artwork needs to include 3mm bleed taking the size to 154mm (w) x 216mm (h). 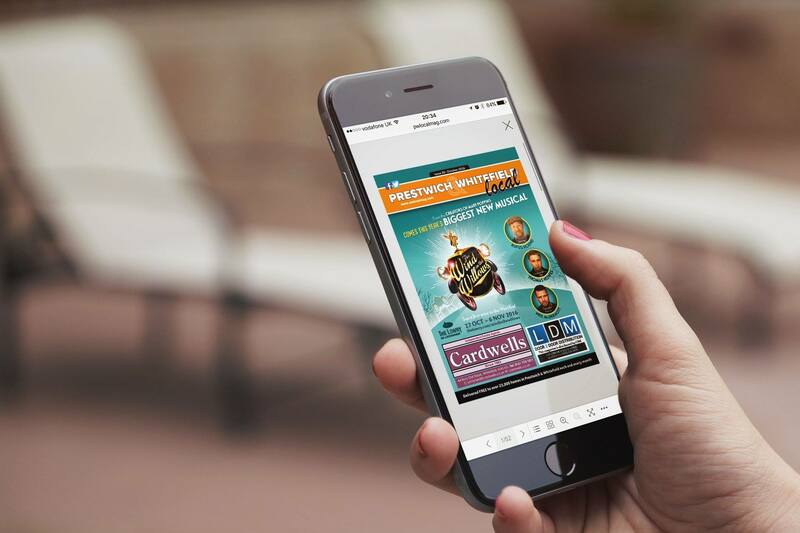 Double page advert size with no border including 3mm bleed is 303mm (w) x 216mm (h). 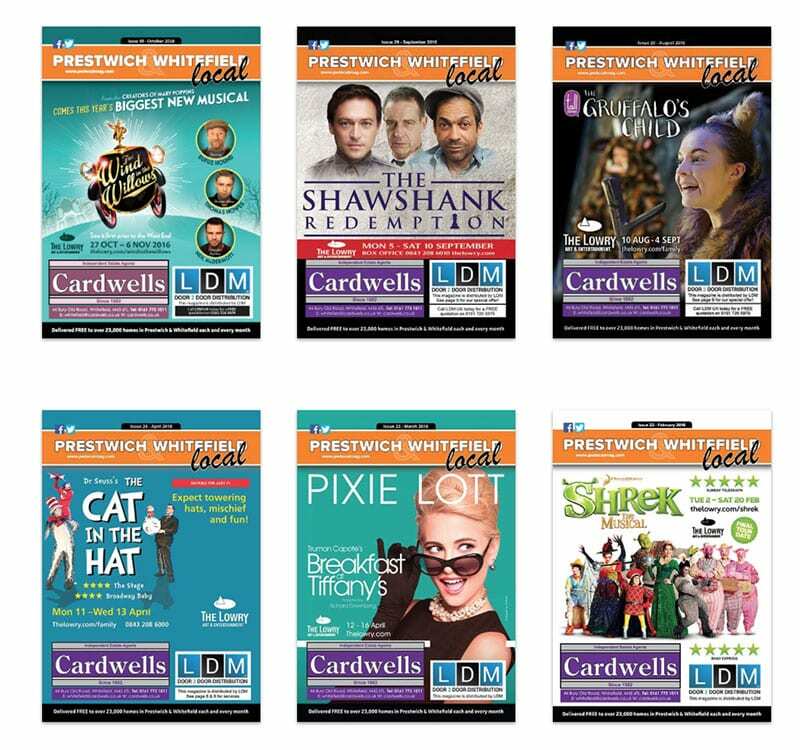 If you would like to advertise your business to over 25,000 residential properties in the Prestwich, Whitefield and Unsworth areas then please contact George Marsh on 07979 903 090 or by email at info@pwlocalmag.com for more information.